Protecting livestock and human lives are among the reasons some are opposed to the release of Mexican Wolves in Socorro County. Helping the wolves fight off extinction is the reason others support the federal governments’ intention to release the wolves despite opposition from local and state officials. There seems to be no middle ground heading into a public hearing and possible vote by the Socorro county Board of Commissioners to bar the release of the wolves as part of the Mexican Wolf Recovery Program. “It seems to be an inflammatory effort to get the federal government to back off its decision to release the wolves into Socorro County,” said Michael Robinson, of the Center of Biological Diversity, about the proposed ordinance the commissioners could vote on at their meeting Tuesday. A commissioner from a neighboring county doesn’t quite see the issue the same way. “It’s easy to be for the release when it’s not happening at your back door,” said Catron County Commissioner Anita Hand. Socorro County Commissioner Martha Salas will be among officials making a decision after residents are given the opportunity to make their opinions known at the 10 a.m. meeting. County Manager Deliliah Walsh said the ordinance is on the agenda to be voted on. But it’s possible they could table it, Walsh said. Should the commissioners approve the ordinance, it would go in effect 60 days after the vote, Walsh said. The feedback Salas has received so far has been overwhelmingly against the release. She recently attended a chapter meeting at the Alamo Navajo Reservation where reservation leaders voted against allowing the release in the county. Robinson said the proposed release point in the San Mateos is far from the reservation, but acknowledged wolves could roam a good distance if their food source was scarce. He said the wolves generally stayed confined if food sources were plentiful. Hand cites attack on livestock as a primary reason she is opposed to the release. So far in 2015, she said there have been 36 confirmed wolf kills on livestock, with four other possible kills. The county also records two cows being injured in wolf attacks, as well as 5 pets. Hand also cited 10 sightings of wolves by county residents, including five up close in which a wolf charged two adults, a wolf followed a 12-year old on horseback and one that came within 30 feet of a 2 ½-year old. “Imagine seeing a cat with no head, a dog ripped apart or calves chewed up,” Hand said. New Mexico Congressman Steve Pearce, who represents Socorro County, cites the attacks in Catron County as a reason for his opposition to the wolf recovery program. He said he would continue to back efforts to defund the program in Congress. U.S. Fish and Wildlife Service Public Affairs Specialist Jeff Humphrey said the organization understands concerns about the potential for attacks on livestock or people. Robinson and Mary Katherine Ray, wildlife chairwoman of the Rio Grande Chapter of the Sierra Club, agreed with Humphrey that attacks on humans were rare and even said that attacks on livestock were not as common as portrayed. Ray, who lives in the San Mateos, saw wolves near her home. “And they ran away as soon as they saw me,” Ray said. She said the pack has since been relocated to Arizona. Robinson cited federal statistics kept each year in wolf recovery program in the Blue Range recovery area. The statistics showed the most livestock kills in a year by the wolves was 36 in 2007. A total of 30 kills were recorded in 2014.
and also reveals action by the Fish and Wildlife Services in response to attacks. “Cattle is not really on their menu,” Ray said. Elk is among the main sources of food for the wolves, Robinson and Ray said. Ray and Humphrey both emphasize that rules are now set up to allow residents to “take” or kill wolves in case of such attacks. or if they feel they are in danger. Ray said residents can obtain permits from the U.S. Fish and Wildlife Service to do so. The ordinance, however, makes the Socorro Sheriff’s Office the agency the public should use in dealing with wolf interactions if U.S. Fish and Wildlife Services are not available. County Attorney Adren Nance said the ordinance does not give the Sheriff’s Office new authority, but recognizes the authority the Sheriff’s Office already has. The Socorro County Sheriff’s Office serves as animal control in the county. Both Robinson and Humphrey said the release was necessary to introduce diversity into genes of the Mexican wolves already in the wild. Robinson said inbreeding has made the wolves more vulnerable to disease and lowered their reproduction rate, cutting their chances of survival. Supporters of the wolf release program question whether Socorro County has the authority to enforce the ordinance on federal land. Nance acknowledges that case law conflicts on whether the ordinance would be enforceable. “But it would address the release on private land and would prevent a ranch owner such as Ted Turner from doing so, ” Nance said. Turner owns the Armendaris Ranch in southern New Mexico that is home to several wildlife research projects. Endangered species have been released on the ranch. The U.S. Department of the Interior granted permission for the release of the wolves into the state a couple of weeks ago despite a decision by the New Mexico Department of Game and Fish in September to refuse the request by the U.S. Fish and Wildlife Services to do so. Even with permission from DOI, the release of the wolves by the U.S. Fish and Wildlife Service may not come for quite some time, Humphrey said. “For 2016, our process is a bit more complicated, and potentially delayed, because we are still working with the Forest Service and the public to identify new initial release sites in the recently expanded Mexican Wolf Experimental Population Area (MWEPA),” Humphrey said. The number of wolves the U.S. Fish and Wildlife Service plans to release into areas of Arizona and New Mexico has not been determined. The delay in the release has caused the service to shelve its previous plan. The Mexican wolf population has grown for several years in a row, reaching its highest population size to date as of the 2014 end of year count, at a minimum of 110 wolves. At the 2014 end of year count, the wolves were approximately equally spread between the two states, with Arizona having several more than New Mexico. Currently, the location of the population can best be tracked using the “Occupied Range” map, available on the U.S. 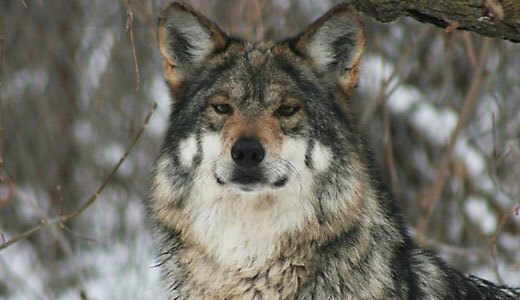 Fish and Wildlife website: http://www.fws.gov/southwest/es/mexicanwolf/TADC.cfm . People can click on the map for a larger version of it. This map also indicates the most recent aerial locations of the radio-collared wolves. SANTA FE — The New Mexico Game Commission has delayed a decision on an appeal filed by federal officials who are seeking to release endangered Mexican gray wolves as part of recovery efforts in the Southwest. The U.S. Fish and Wildlife Service initially sought three permits, including one to release a pair of wolves and their pups onto federal land in New Mexico and another allowing for up to 10 captive pups to be raised by foster wolves in the wild. The requests were denied in June by the state game and fish director. The Fish and Wildlife Service’s regional deputy director, Joy Nicholopoulos, told commissioners during a meeting Thursday in Santa Fe that delaying releases could compromise the genetics of the wild population in New Mexico and Arizona. The commission is expected to take up the matter again next month. This Associated Press article was published in multiple media outlets. with a letter to the editor! The letters to the editor page is one of the most widely read, influential parts of the newspaper. One letter from you can reach thousands of people and will also likely be read by decision-makers. Tips and talking points for writing your letter are below, but please write in your own words, from your own experience. US Fish and Wildlife Service must be able to release wolves into New Mexico to improve thedwindling genetic health of the wild population. The wild wolves suffer from inbreeding depression and can’t wait for politics or risky experimental techniques like cross-fostering. The New Mexico Game Commission, under Governor Martinez, has clearly become a tool of a small anti-wolf, anti-carnivore minority and its actions are out of touch with the majority of New Mexico voters who support wolf recovery and understand the important role top carnivores play in our ecosystems. Wolves are a benefit to the West and are essential to restoring the balance of nature. Actions to interfere with the Mexican gray wolf’s survival and recovery cheat us all of the opportunity to have wolves returned to their critical natural role. At last official count, only 110 Mexican gray wolves were found in the wild, making them one of the most endangered wolves in the world. 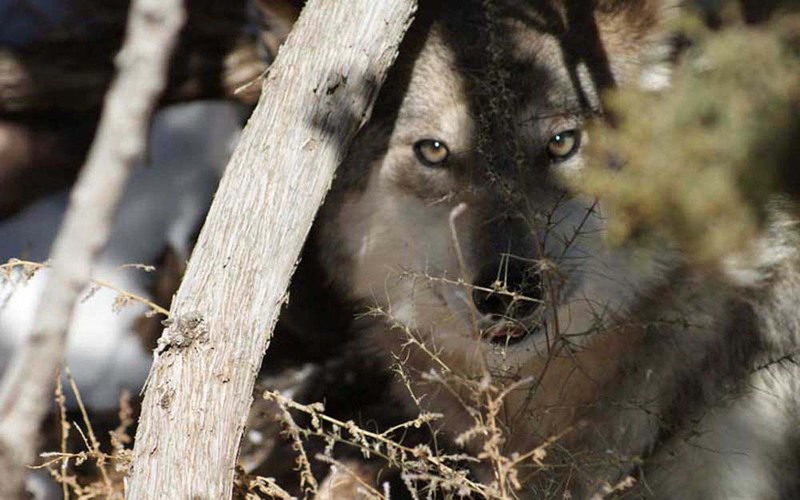 Actions such as NM Game Commission’s unwarranted denial of the Ladder Ranch and USFWS permits will only further complicate efforts to recover these rare wolves. As the federal agency responsible for the recovery of endangered species, the U.S. Fish and Wildlife Service can and must move forward with releases of captive wolves, regardless of the Commission. The Service should be releasing entire families of wolves from captivity instead of deferring to state agencies that are clearly hostile to wolf recovery. The federal government nearly drove the Mexican gray wolf to extinction in the 1900’s. We have a moral responsibility to do all we can to ensure these wolves do not go extinct and NM Game Commission is ignoring that sacred charge and their public trust responsibility. New Mexico Game Commission has given no good reasons for denying the Ladder Ranch or USFWS permits because it has none-only a desire to block the recovery of these native wolves. These decisions should be reversed. Mexican gray wolves are unique native animals. They are the rarest, most genetically distinct subspecies of gray wolf in North America and the most endangered wolf in the world. State and federal agencies should do all in their power to move these special wolves away from extinction towards recovery. The livestock industry has a responsibility to share public lands with wolves and other wildlife. Wolves are responsible for less than 1% of livestock losses and there are many tried and true methods to avoid conflicts between livestock and wolves. Responsible managers and livestock owners emphasize conflict avoidance instead of scapegoating wolves. Wolves generate economic benefits – a University of Montana study found that visitors who come to see wolves in Yellowstone contribute roughly $35.5 million annually to the regional economy. New Mexico stands to benefit from wolf-related tourism, but only if the Mexican wolf reintroduction is allowed to succeed. Thank the paper for publishing this article. Submit your letter as soon as possible. The chance of your letter being published declines after a day or two since the article was published. Do not repeat any negative messages, such as “so and so said that wolves kill too many cows, but…” Remember that those reading your letter will not be looking at the article it responds to, so this is an opportunity to get out positive messages about wolf recovery rather than to argue with the original article. Keep your letter brief, between 150-300 words. Include something about who you are and why you care: E.g. “I am a mother, outdoors person, teacher, business owner, scientific, religious, etc.” Don’t be afraid to be personal and creative. Provide your name, address, phone number and address. The paper won’t publish these, but they want to know you are who you say you are. Submit your letter to the media outlets below. You can submit slightly altered versions of your letter to all of them. 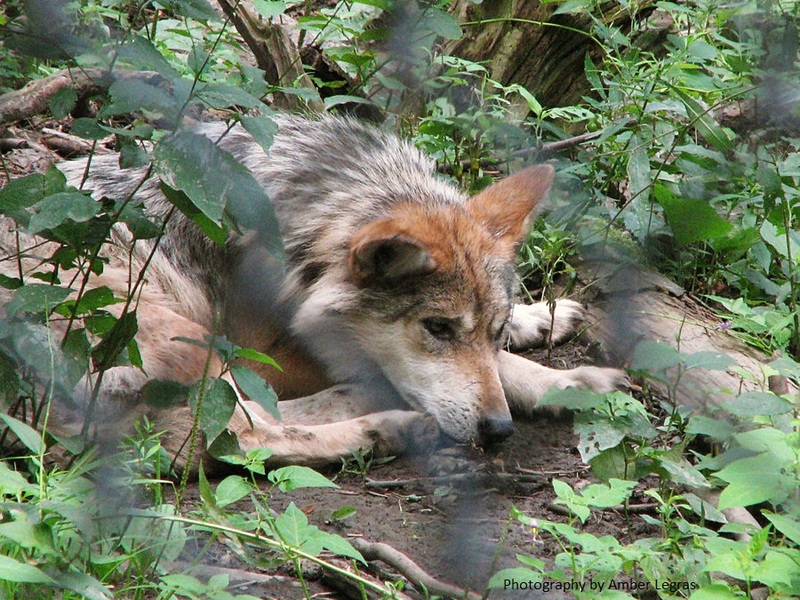 Want to do more to help save Mexican wolves? Contact the Governor’s office and request respectfully that she put an end to her Commission’s anti-carnivore state wildlife policies, grant the Mexican wolf permit to Ladder Ranch, and rescind the rule giving the Commission this authority. Calls are most effective: 505-476-2200 The Governor’s office may try to tell you to contact the Commission. Please tell them politely, but firmly, that Governor Martinez is responsible for the actions of her Game Commission and your message is for her. You can also sign a petition to the Governor here. Please contact U.S. Fish and Wildlife Service Director Dan Ashe as well. I am calling to urge the U.S. 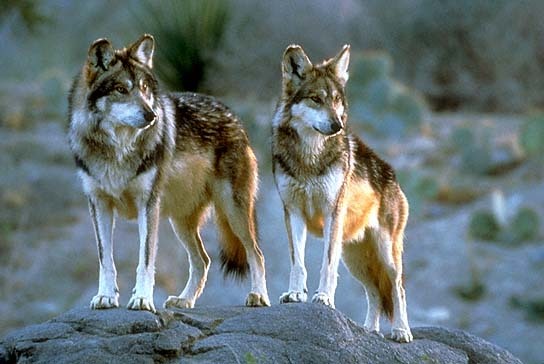 Fish and Wildlife Service to exercise its federal authority over the Mexican gray wolf reintroduction and stop allowing state game commissions in New Mexico and Arizona to undermine wolf recovery. The Service should be doing all in its power to ensure the recovery of endangered Mexican gray wolves. This includes going far beyond risky cross-fostering. Please expedite the release of adult wolves and wolf families to improve the wild population’s genetic health. Going to the wolves: Strong views aired on expanding wolf recovery area in Arizona – Arizona Range News: News. BISBEE — Wolves. Just mention the word and depending on how one views predatory American animals, there are bound to be those who are in awe of the stamina, power and grace of the animal who once roamed the West in numbers and those who are fearful of its agile and deadly ability to kill. As the U.S. Fish and Wildlife Service proposes to open protected areas in New Mexico and Arizona for the reintroduction of the smaller Mexican Wolf, an uproar of opposition has been raised by ranchers who cannot afford to lose stock and who fear for their children and pets. That was obvious as the Cochise County Board of Supervisors invited the public to make official comments on the proposal during Tuesday’s meeting. Though FWS is considering the release in the county above Interstate 10, three of the four of the scheduled public hearings are not even in Arizona. The only one is scheduled in Phoenix on a date yet to be determined, said Kim Mulhern, hydrologist and wildlife consultant for the county. That was the reason the Supervisors decided to hold a public hearing so that the voices of the county could be heard. Mulhern noted the FWS proposed de-listing of the Gray Wolf as an endangered species, but was in the process of listing the Mexican Wolf, a smaller version of the gray, as endangered. FWS is proposing to expand the Mexican wolf’s protected areas on state and federal public lands, Mulhern explained. The proposed rule would allow releases into all areas of central Arizona north of I-10. The Service is also considering an option that is currently not in the proposed rule to expand the geographic boundaries for the Mexican wolf down to the US/Mexico border in Arizona and New Mexico, affecting all areas of the county. The basic proposed rule, if the Mexican Wolf is listed as endangered, would permit a direct release from captivity to the wild throughout the Blue Range Wolf Recovery Area, which runs through the central part of New Mexico from its border with Texas to the Arizona border with California, explained Mulhern. FWS expects the Mexican wolves, a sub-species of the gray wolf, to disperse naturally from the Blue Range into the expanded protection area on both federal and state lands, as well as some private land holdings. Mary Darling, an environmental consultant, said Mexico had released some of these wolves into remote areas of the country about 20 miles south of Douglas, and there was a possibility of wolves making their ways north into the U.S. and up the San Bernardino Valley and the Chiricahua Mountains. If the FWS does re-list the Mexican as endangered, then those who cross the border would be considered protected and could not be harmed. It also would effect grazing leases ranchers may have with federal and state lands. The Arizona Game and Fish Department has been concerned in recent years about the decreases in deer and antelope populations, so there is a conflict regarding the availability of sufficient large prey for all of the current predators in the area, noted Mulhern. With the addition of Mexican wolves, lack of prey would likely cause them to resort to preying on livestock, pets, and other non-wild prey. Sherry Barrett, FWS Mexican wolf coordinator, faced a hostile crowd at the hearing, yet moved forward with her presentation on the proposed reintroduction of the endangered species. It is expected that these wolves would prefer smaller game such as javelina or deer. However, depending on the numbers of prey animals, it is possible for these wolves to take down stock and impact the ranching economy. In cases of proven predations, FWS could allow the killing of the wolf by authorized personnel, said Barrett. In the standing-room only meeting room, rancher after rancher came forward to express their confusion and dissatisfaction with the decision to incorporate any part of Cochise County into the reintroduction areas. So did state Sen. Gail Griffin. Gilbert Reeves, Huachuca City, said he was not a rancher, but could relate to their concerns. He voiced concern for his great-grandchild who could become a target for wolves. Reeves claimed that shelters had to be constructed in New Mexico so that children waiting for school buses would be safe from wolves. Only three people were in favor of the reintroduction project Liza Weissler, Bob Wick and Bob Weissler with the Friends of the San Pedro. Wick said he thought that this corner of Arizona was blessed in that there was such a rich diversity of wildlife, something he did not have growing up in Ohio. He suggested that the reintroduction of the Mexican wolf would add to the tourism industry as people would want to come and watch the wolf packs. He also told the ranchers that he was “disappointed” that they were not reimbursed for stock they lost to predators. Bob Weissler reasoned that if Mexican wolves did cross the border, they would probably move on because there was not enough prey. Additionally, the Defenders of Wildlife have a fund for compensation of stock that have been proven to be killed by wolves. When wolves were reintroduced to Yellowstone Park, for example, the coyote population that had been preying on smaller animals plummeted and those species came back. The elk herds became more robust as the old and sick were taken down by the wolf packs. “We’re interested in putting predator/prey balance back into the wilderness and our wild areas because there are unforeseen indirect impacts,” Bob Weissler stated. All the comments received through the public hearing will be forwarded to the FWS by the supervisors so that Cochise County residents will have a voice in the process. The supervisors approved a letter to FWS earlier in the meeting stating that they were against any wolves being introduced into the county.